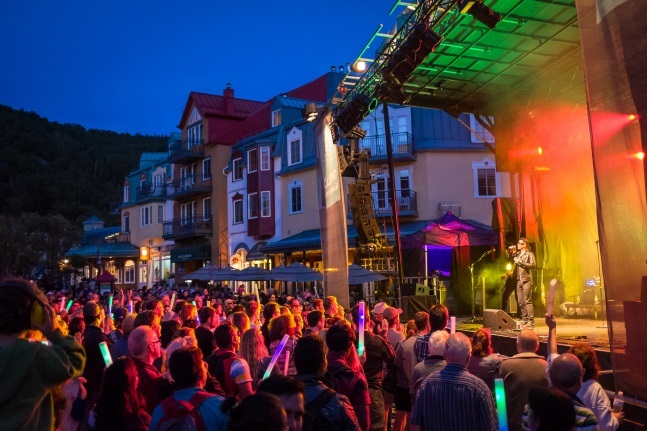 Starting this Friday July 22nd and going on until Sunday July 31st, Tremblant is celebrating the 13th edition of the Rythmes Tremblant! This musical event offers tons of outdoor concerts for every taste, along with entertainment for the whole family. Colourful characters and irresistible rhythms from around the world will enliven our pedestrian village once more this summer. This year the festival has added a lot to its program by focusing more on kids. With plenty of shows for children featuring exciting interactive adventures in music, from percussion workshops and kids dance parties, to storytelling, sing-alongs and magic shows, your young ones are sure to be entertained! 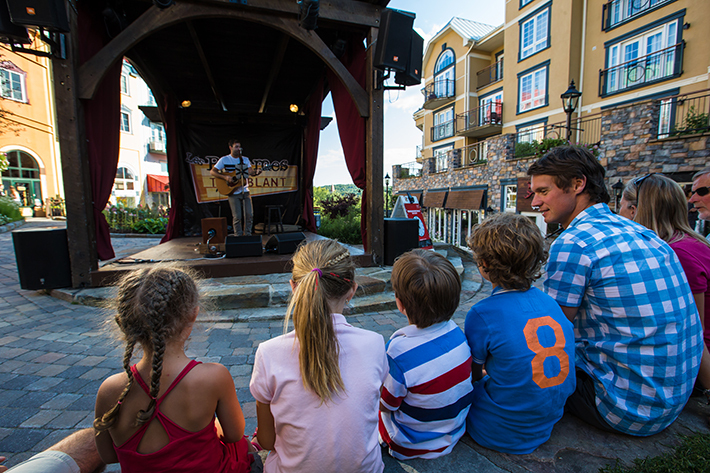 These shows and workshops will be happening every afternoon at 3p.m., from July 23rd to 31st, at the Promenade Deslauriers stage. Come evening, at the Place Saint-Bernard, young and young at heart can boogie the night away to classics showcasing a rainbow of eras and styles ? disco, retro, rock n’ roll and so much more!